Quadrophenia was a rock opera follow up to Tommy released on album in 1973. A British film of Quadrophenia was made in 1979 (featuring Sting) set in mid sixties London/ Brighton involving clashes between the mods & rockers. The story revolves around social, musical & psychological issues surrounding its main character an English teen, Jimmy. Americans may not be able to relate to the story & its settings as well as well as the English can. That can be said about Tommy as well, with its Holiday Camp focus, etc.. but Tommy's American film success certainly got a whole new generation of people on board. The likes of Eric Clapton, Elton John, Tina Turner, Jack Nicholson & Ann Margret in the film definitely helped its success along with the great music. 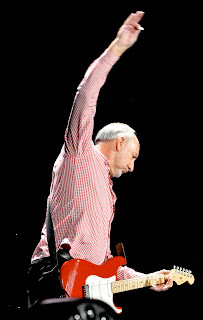 Pete Townshend feels Quadophenia was some of his best work & he has brought it on the road with an elaborate production. The concert was directed well, carried out well & the music was perfectly on point. It was a great recreation of the entire Quadrophenia album. 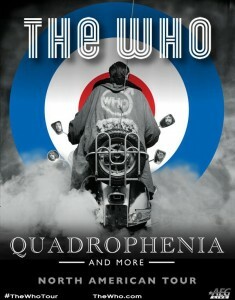 It seemed that most people in the audience (especially in my immediate area) wanted more than just Quadrophenia. Since most of its songs were not mainstream hits, many may not have been familiar with all of its content. This led to a more laid back crowd that seemed to be awaiting for a chance to erupt. It wasn't until the final part of the show when the "hits" were played that the crowd finally erupted. The Quadrophenia highlights were certainly Punk Meets the Godfather, Dr. Jimmy, Bell Boy, 5:15, Love Reign O'er Me, & the opener; The Real Me. If my memory is correct (I didn't take notes) Townshend took the vocals on Drowned & Simon Townshend took the vocals on The Dirty Jobs. 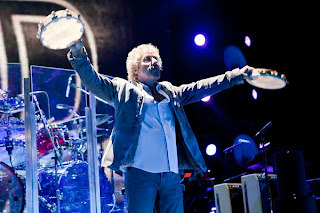 Daltrey was on stage but sang behind them, while bashing his tamborines. 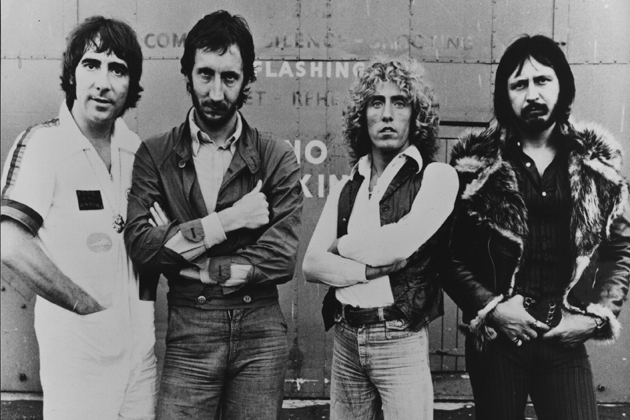 During the Quadrophenia set, the Who did an incredible tribute to Keith Moon & John Entwistle. It's something that kind of has been a trend lately, where the video back drop would have old footage of an old band member who is no longer with us with the rest of the live band playing along. This works out great when done well, and the Who perfected it. In the middle of 5:15; John Entwistle was playing an incredible bass solo on the video boards as the band went into a great bluesy jam. There was Zak bashing the drums underneath the image of Entwistles thundering bass, quite a moment. I thought the Keith Moon tribute was even better, it came during the song Bell Boy in which Keith has a rare vocal appearance. It began with footage of Moon bashing on his drums as Zak Starkey played along live on stage. Then there was old footage of Moon singing Bell Boy from way back in the mid seventies. The crowd loved it as we shouted out the "Bell Boy" parts in between Moons banter. 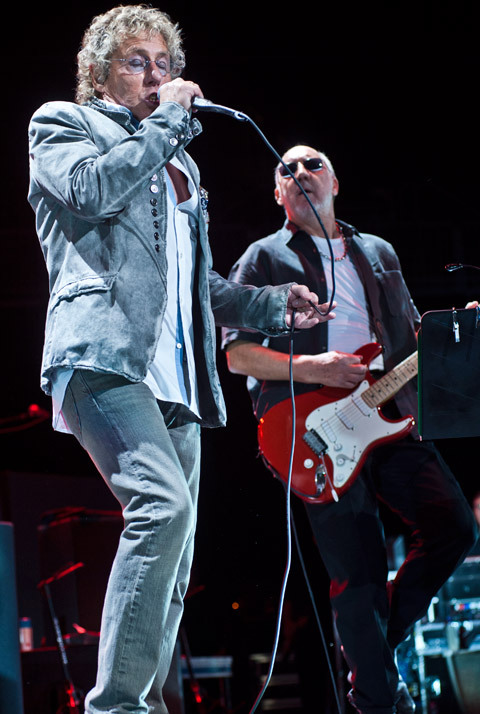 I particularly noticed Roger Daltrey looking up at the screen with an affectionate smile like he was enjoying Moon's memory more than anybody. Remember he does this every show, very torching. Roger Daltrey one of the best rock voices of all time, sounded real good on his vocals. He sounded better than he has in years, hitting all the screams never missing anything. 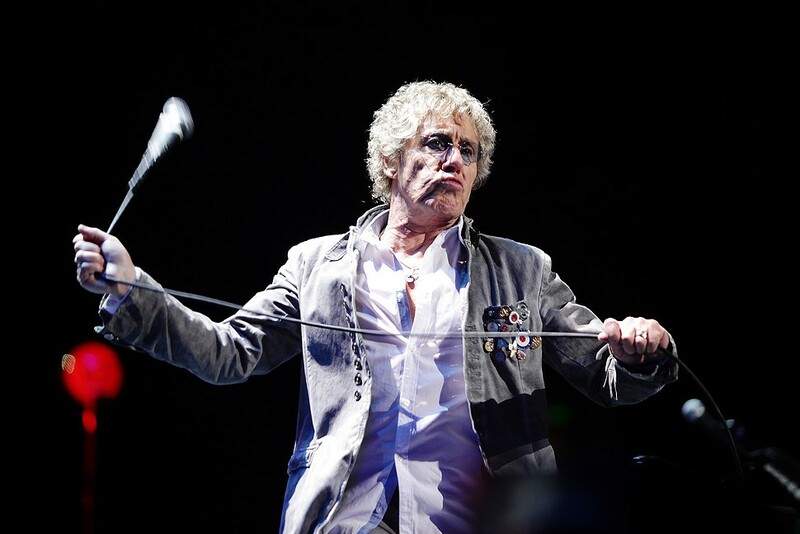 His classic stage persona is the same, his curly hair is back, sharply dressed with open shirt showing off his ripped chest, something almost unthinkable at this age. He is still the master of throwing & twirling around his microphone, then catching back in mid air. At one point it seemed he tripped over a wire, because he went down (gracefully) & then spun around on the floor while still singing, but jumped right up. It almost looked as though it was part of the act, but not something were used to seeing Roger ever do. 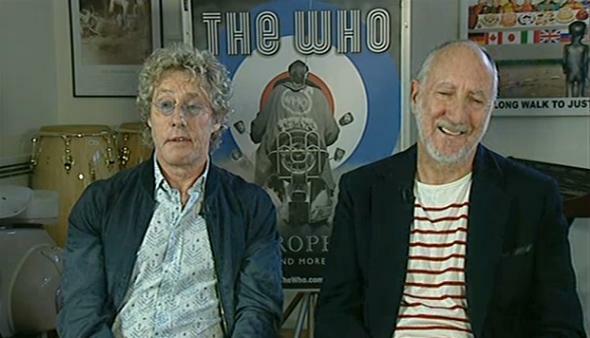 Pete Townshend also looks great, and seemed to be enjoying himself leading the musical direction. His guitar work was brilliant, he was the band leader on stage playing his composition, as everyone followed along. As for his vocals, they were right on at times but on some lines it seemed his voice was a bit scratchy. Pete still gives us his classic windmill guitar but doesn't over do it. He jumps around a bit less than when he leaped into the air & landed on his knees sliding across the stage many years ago. And there was no guitar or equipment smashing. As always with the Who, it's a great treat to watch Townshend & the band, go off into a jam session during a live performance. This is classic Who at its best, from the beginning up until today. If anything with Quadrophenia there was a bit less open jam sessions, although the instrumentals for Quadrophenia & the Rock were phenomenal. On drums once again was the incredible Zak Starkey, Ringo Starr's son. 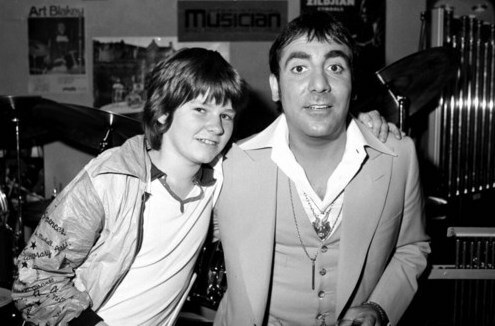 Remember Ringo & Keith Moon were very good friends back in the hey day. Moon is Zak's godfather & actually helped teach him play some drums, hence the influence. There is certainly no one else that can back the Who & fill in for Moon like the incredible Zak. Also on board were Pino Palladino on bass who has been Entwhistle's replacement since his passing. 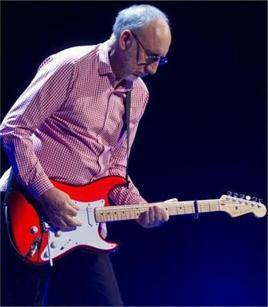 Simon Townshend (Pete's brother) also plays guitar in the band. Others included John Corey, Frank Simes and Loren Gold on keyboards and a two-man horn section. The video screens were very elaborate. Resembling the front lights of a motor cycle grill, the center screen was the main screen, huge and very clear. The light show was also done well & the sound was good. I was sitting at about nine o'clock from the stage and at times thought it could have been louder, but that may have just been me. Pete thanked everyone, introduced the band and spoke a bit about the production. He thanked Roger & it's amazing to see how their relationship has become such a loving friendship as it was not the case early on for many years. The band also remembered the recent passing of friends in the Who family, Chris Stamp (co-manager '64-'75) Frank Barcelona (former agent) & Mike Shaw who worked with the band in the sixties early days. He was in a car accident & spent most of his life in a wheel chair. Daltrey gave a touhing speech on how never to look down on some one in a wheel chair, get on your knees & talk to them at the same level. He picked up his guitar & played on, and now the crowd went wild. We got a barage of Who classics that satisfied everyone. No matter how old we all get, the crowds intensity of screaming "We're all Wasted" during Baba O'Riely never gets old. I guess it's all a way of recapturing our youth, during these two hour sets. 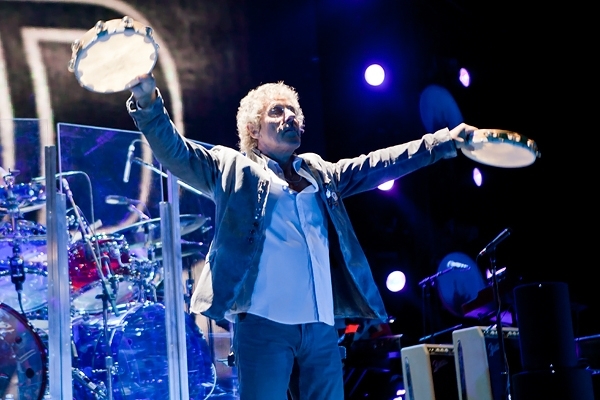 The Who shows no signs of slowing up, if all goes well these guys will be back for more tours soon. Don't miss them, they still rule! I saw THE WHO at the VERIZON in WASHINGTON. This is the show everyone should see. This is a must for all WHO fans, old and new. Briliantly produced and performed.